But, we actually did have a reason. Whatever did we use it for? 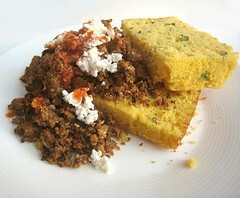 We ate our jalapeño cornbread with our Homemade Mexican Chorizo. Simply add chopped jalapeño peppers to the batter, however many you like. Heat oven to 425 degrees.with rack in center. Butter an 8-inch-square baking pan, and set aside. 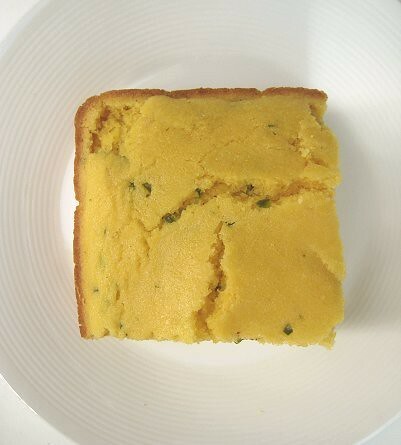 In a medium bowl, whisk together flour, cornmeal, sugar, salt, and baking powder. In a small bowl, whisk together milk and eggs until frothy. Pour the milk-and-egg mixture into the dry ingredients. Mix until the ingredients are just incorporated. Do not overmix; the batter should be lumpy. Pour the batter into prepared pan. Cook until top is golden brown and a cake tester inserted in the center comes out dry, 20 to 25 minutes. 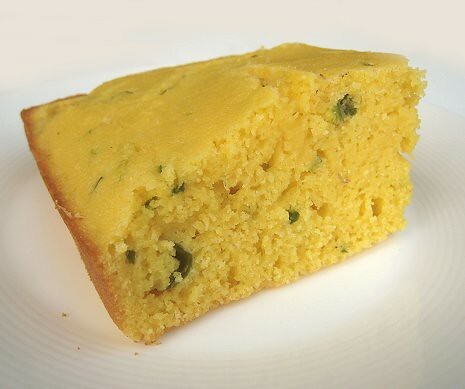 never had cornbread with jalapeno yet. must be perfect accompaniment for chili con carne.